In the world of mid-market New York City investment sales last week, Slate Property Group picked up a rental building on the Lower East Side, and City Skyline Realty sold off one Hamilton Heights property and bought another. 1.) Slate Property Group bought a six-story rental building on the Lower East Side for $10 million. The 22-unit property at 153 Ludlow Street spans 11,000 square feet and includes two retail units. The previous landlords were Arwen Equities, which owned the building since 1995. 2.) 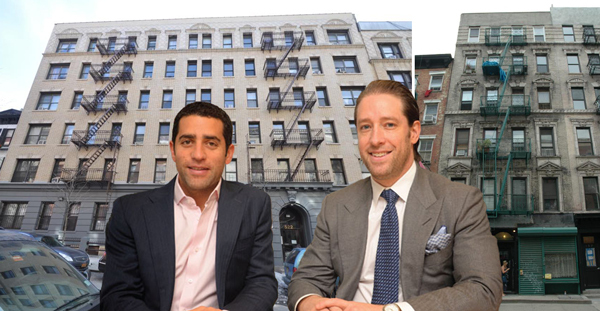 Carmelo Milio’s Trion Real Estate Management picked up a 41-unit building in Hamilton Heights for $17 million. The seller, Doug Peterson’s City Skyline Realty, bought the six-story building for less than half that price in 2014, paying $8 million. The building, located at 48 St. Nicholas Place between West 153rd and 154th streets, spans 42,924 square feet, putting the apartments at roughly 1,000 square feet on average, and the price at $414,000 per door. Daniel Parker of Hodges Ward Elliott represented the seller. 3.) In the same Hamilton Heights neighborhood, Peterson’s City Skyline Realty bought a 44-unit apartment building for $15.5 million. The six-story building at 522 West 157th Street spans 42,546 square feet, putting the apartments at roughly 960 square feet on average, and the price at $352,000 per door. Josh Pomerantz of HPNY represented both the buyer and the seller. 4.) Yechiel Weinberger and Eric Miller of Parkway Realty Group bought a mixed-use building at the corner of University Avenue for $14 million from Ardowork Corporation. The 58,800-square-foot corner building at 2690 University Avenue includes 62 residential units, 60 of which are rent-regulated, and seven commercial units. Parkway owns a substantial multifamily portfolio in Brooklyn and the Bronx. In 2015, the firm bought 364 apartments in the North Bronx from Urban American Management for $42 million. Mike Stern and Scott Jacobs of NY Standard Realty represented both the buyer and seller. 5.) A two-story commercial building at the corner of East 149th Street and Cortland Avenue sold to Albert Babayev for $17.5 million. The 33,135-square-foot building at 356 West 149th Street in building is leased to A Rite Aid And Located A Block Away From The Third Avenue And East 149th Street hub. Babayev is a commercial landlord based in Jackson Heights and owns several buildings in Queens including another Rite Aid, at 188-16 Union Turnpike, which he bought for $10.8 million in 2016. 6.) Also in the Bronx, a treatment center in Tremont traded hands for $10.5 million. A Jackson, New Jersey-based investor sold the 65,181-square-foot building to two LLCs associated with Lazar Muller of the Monsey-based Gladiator Realty Corporation. VIP Community Services, the nonprofit that runs the center, sold it to the Jackson-based seller for $9.7 million, having owned it since 2003.